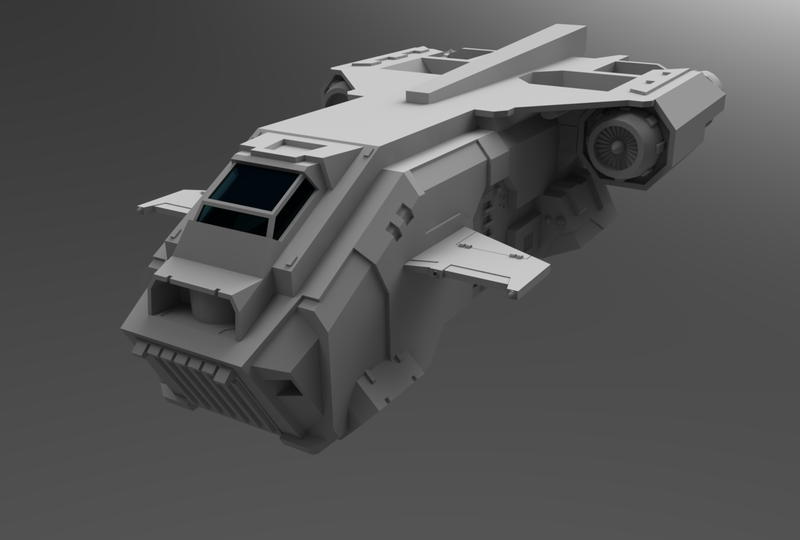 Here's the Storm Eagle i'm working on, modelled after the original Forgeworld design, which again is more or less a (prettier) redesign of Games Workshop's Stormraven. 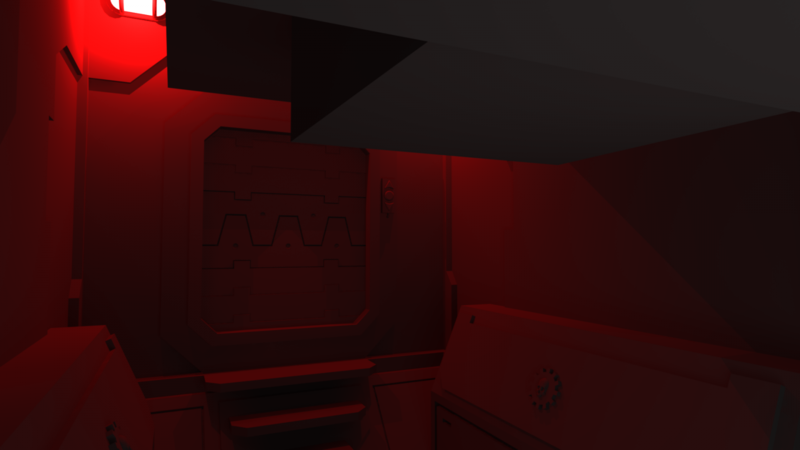 I intend to do the complete interior as well. 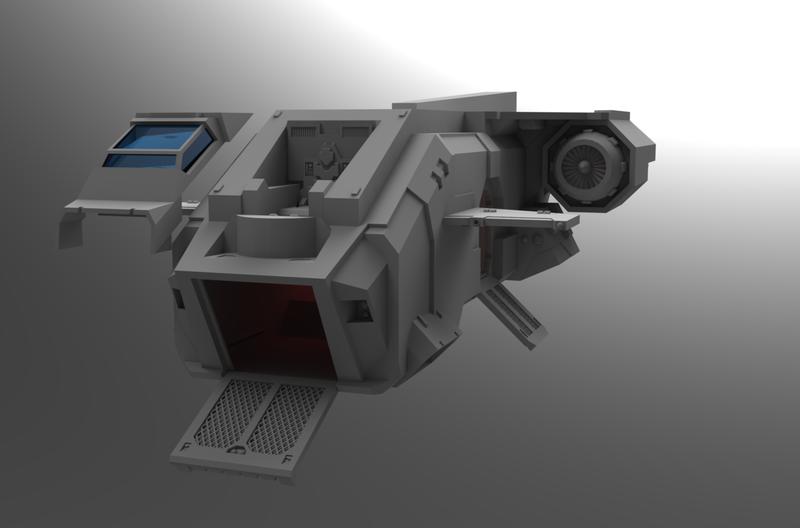 I use Google Sketchup for modelling and Deep Exploration for rendering. Good modelling sir. Keep posting. Ah, the Reliant Robin of the 40K world! Still pretty good modelling, though. I haven't seen one done. Thanks. Here's a minor update with some interior shots and the new twin-linked heavy bolter. Do you have a physical model with you to copy from or just looking through the instructions? 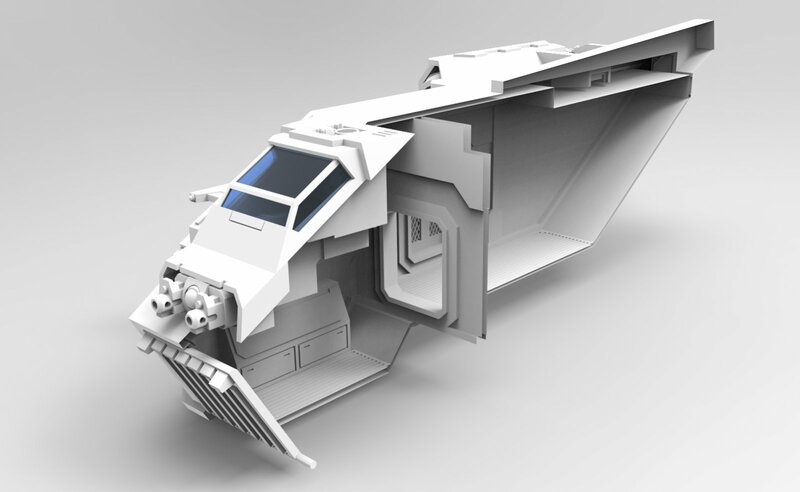 are you going to model the storm talon aswell? I wish i had the physical model *or* the instructions with proper orthogonal pictures from all sides. I just vaguely use pictures i find on the net as reference, guess lengths and angles and curse when something doesn't seem to fit. I probably won't do the Storm Talon, the shapes are a little too complex for my skills and i really don't like it's design. Like the Stormraven, it just looks way too... squat. Like the model *had* to be squeezed in a sprue of a certain size. The Stormraven on the other hand i could do, since it already shares many parts with the Storm Eagle. short question, can you tell me how you did that animation in Sketchup? Err, short answer: i didn't. Long answer: i made 10 screenshots with printscreen and made an animated gif in Photoshop. and do you have 4 grand you can spend on more powerful software? I'm sure everyone on this forum paid full commercial price for their 3ds Max and Maya... and then paid in full again for legit licences for the latest Adobe creative suite... Mhmm... Yup. Or they used non-commercial student licenses which are available for cheap for most industry standard software. I'm not even going to suggest any other options for obtaining the software. [url=htp://www.blender.org]Blender[/url], free and open source. Because I am a filthy, low life, scummy, entry-level commercially non-viable hipster douchebag. Blender is surprisingly good for something free and open source, I wouldn't knock it or discount it. Some of the really cool stuff for it is commercial, but not terribly pricey. And 4 grand is stupidly expensive. A student-licensed copy of lightwave is ca.$100. I do have access to a friend's max version. He actually gets a lot of graphical software from the company he works at, even though he isn't involved in the editing work himself. But all this software is on his PC, so i can't do much more than minor changes and renders. I've tried Blender, but it doesn't feel intuitive to me somehow. I have to search minutes for the most trivial operations, but maybe that's just me. As for Sketchup, i was just fooling around a bit and was surprised how easily and quickly you could knock together complex meshes, as long as it doesn't have too many curved surfaces that is.